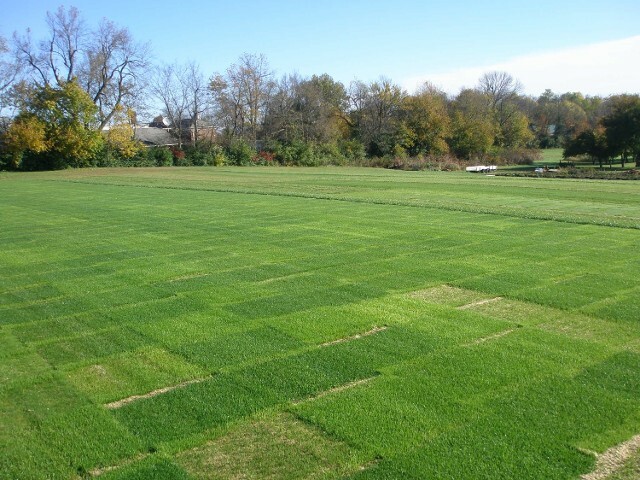 Over 4,000 turf plots are under evaluation for genetic improvement each year. Trials are conducted in cooperation with leading global grass seed research and marketing corporations. 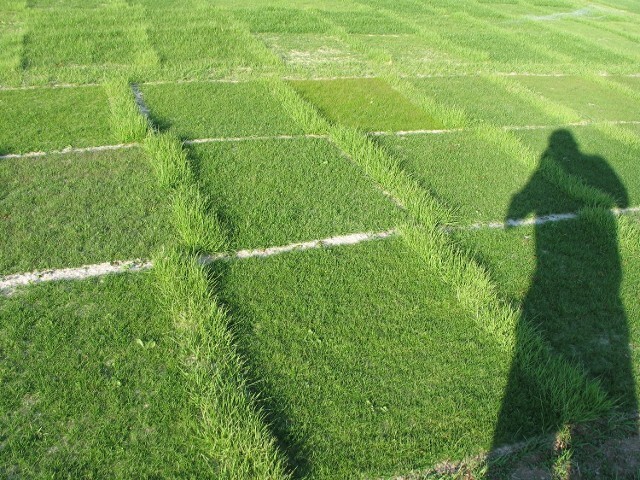 Traits under evaluation include disease resistance, traffic and drought tolerance, genetic color, and overall quality. Newly emerged Kentucky bluegrass with tall fescue borders.